In this age of touchscreen devices and ever-present access to digital media, we find ourselves able to work effectively and efficiently away from the traditional office setting. It’s easy to forget that just because we are able to manage ourselves effectively in an autonomous environment, we shouldn’t neglect to correspond and engage with our clients, just as much as we would if we were in a more traditional office environment. The fact you may be working in another town, city (or in my case, country!) than your clients, should really mean you put extra onus on ensuring clients don’t feel isolated from you or unable to contact you whenever they need to, especially when trying to win new business & impress new clients. If you’re a fully fledged, experienced freelance designer or developer who has been out of the office environment a while, it can be easy to forget that the attitude to your own particular working arrangements can vary wildly, depending on the client. In the past few years I’ve experienced clients who are forward thinking, modern and happy to work with agencies in different countries. I’ve also experienced (very recently) clients who aren’t even willing to work with a designer who isn’t able to work from the same room, let alone a different time zone! Thankfully there are numerous applications and tools available that make working with clients (even on the other side of the world) a whole lot easier. I’ve listed a few of the apps below, which I find indispensable for managing projects and clients at a distance, and winning new freelance projects. An incredible service for digital freelancers, Toptal has a far more professional look, feel & personal touch than many other networks for freelancers. Indeed they go through a rigid screening process to ensure they only work with the best, this in turn attracts some of the biggest companies in the world who are looking for quality freelancers. If you’re serious about going freelance, this might be the only site you need to join (assuming you have the talent!). I’ve made the first step and decided to join Toptal, the Freelance UI Designers Network. Utterly invaluable. 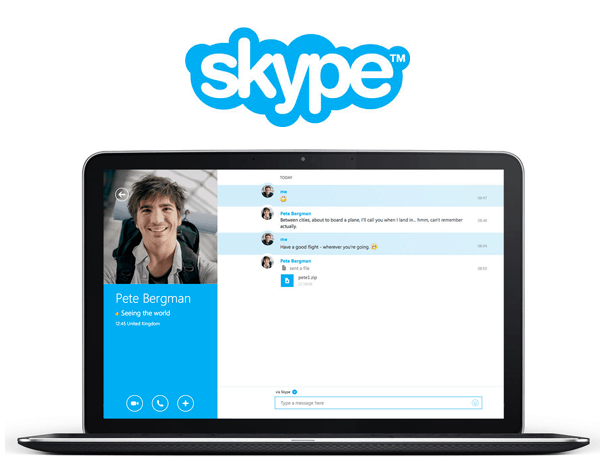 I’m not even sure how I would manage without Skype; it’s simply the easiest and cheapest way to stay in touch with you clients no matter what side of the plant you’re working on. The conference call and screen share features make this an essential app for any budding freelancer. Basecamp is one of the most complete and in depth solutions you’ll come across, although it’s better suited for small- to medium-sized businesses than freelancers. Like most project management tools, the challenge is ensuring the client also uses it as intended, something that normally requires some coaxing in the initial stages of a project! The UI does look a little dated now on Basecamp classic mode, but it’s there for a reason – people find it easy to use and an essential part of their daily client and project management. 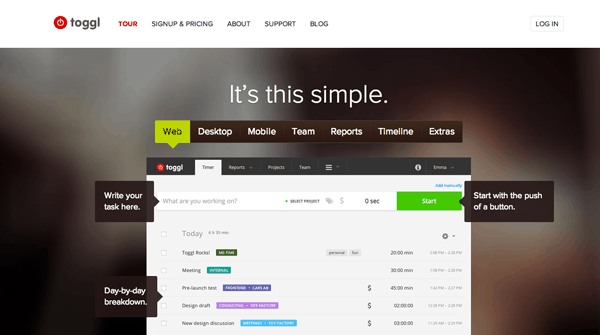 If Basecamp seems like too much for you, then Toggl is an excellent tool for accurately keeping track of billable client time. The basic version is free, which I’ve used. The full version is $5 a month, so if you feel you require something a bit less in depth than Basecamp, then Toggl should be your natural choice. 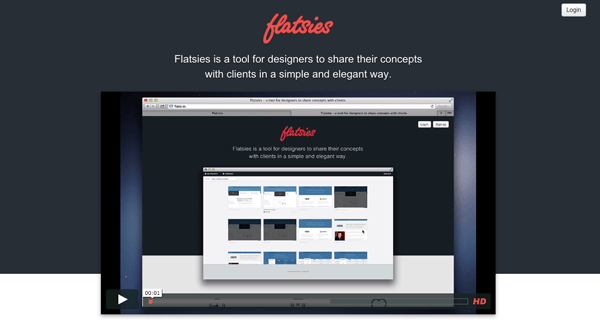 There is a plethora of concept-sharing applications available, but for me Flatsi is still one the best. The UI is simple and elegant and the application is very simple to use. I now find concept sharing applications an essential part of my job, and with Flatsi you can start, manage and receive client feedback on a design project in a matter of minutes. I’ve included Marqueed because it’s free and is so simple to use. 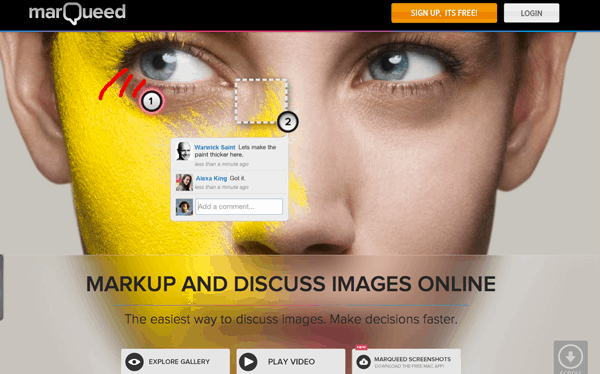 If you want to be able to upload images quickly and discuss them with a client, then Marqueed is the application for you. I love the synchronicity of the tool – why bother having an overly long email thread, which you have to fish through weeks later, only to find out what color a button should have been? Marqueed lets you can collaborate with a client, on any image uploaded or online and have it saved in an easy and secure place, so you can refer back to the comments at any time. 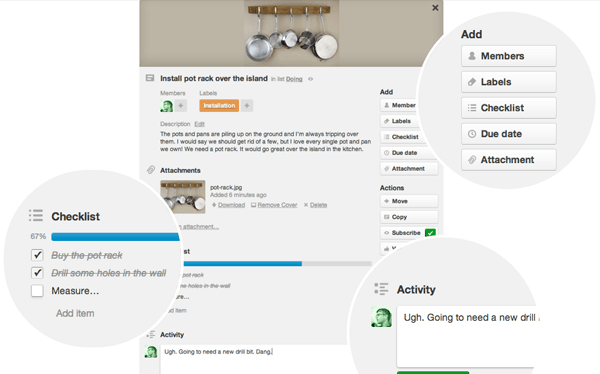 Trello is a useful visual online collaboration project management tool. Trello is slightly different in its approach, using a Pinterest style board where you create boards with tasks and priorities. 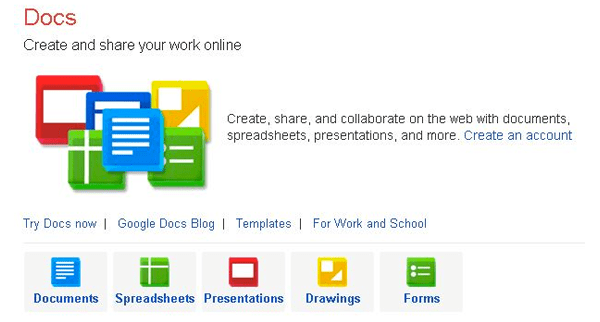 Users are encouraged to review their task boards every morning and update accordingly. You can use Trello as an individual or as part of a group, either way; it’s a great way of organizing the workweek. Invision is a slick, smart and essential prototyping, collaboration and workflow platform. Used by some of the biggest names, from eBay to Adobe, Invision allows for rapid prototyping on any device and a fluid approach to demonstrating concepts with clients. Boasting a very large community and ever improving functionality, Invision may be the essential choice for managing your creative workflow in the future. All of the above apps are great and can really help with your workflow, however the most powerful tool that you’ll have at your disposal, will actually be … you! Sometimes as designers we can tend to be a bit introverted, and especially so if we’re working out of an office environment on our own, it’s even more important that you not only use apps, but also speak to clients on a regular basis. This creates a stronger personal bond and is the best opportunity you’ll have to glean important information from clients that could have a huge effect somewhere down the line. A simple, initial short phone or Skype call can quickly lead to a client revealing ideas about all types of subjects, which can greatly influence design decisions you make as a project progresses. What better way to ensure a job reaches a satisfactory conclusion, than incorporating some of a clients thought processes and ideas based on an earlier conversation? This will convince the client that you value their opinions and are always taking notes. We can’t turn up to meetings in person on a client’s whim. Many clients who are part of large organizations will have meetings about everything you will design, from the color of buttons to placements of social media links. In a previous design position I held at a large UK digital agency, it was commonplace to attend meetings on site, several times a week with large groups, just to discuss items that really could have been discussed just as easily over a call or email. It’s important to establish ground rules up front with your client if your location will cause such issues. In previous generations, working autonomously was somewhat of a rarity, especially compared with the age we now live in. With the amount of devices and points of contact we have at our disposal it’s easier than ever before to communicate effectively with a client from a distance; although it’s up to you, as the designer, to ensure the client feels valued and confident in your abilities to design from a distance. This article was first published in DesignModo. Indeed! I’ve found the key to client adoption is making it clear that Basecamp (or the agency’s other PM system) is the best way to get results on a day-to-day basis. If a client reports problems using the system, observe them in their office (or do screen-sharing). They may be doing something that makes things harder than necessary, but you’ll need to see it to fix it. That said, when your Basecamp comment has become 10 paragraphs long, it’s time for a 5-minute phone call to sort things out faster (with a brief recap to Basecamp). Good points Karl. The challenge is indeed ensuring clients also use the PM system, which isn’t always possible. Still, the ability to keep track of an entire project in thread format makes it easy to refer back to key moments in the project which can resolve a lot of potential issues.